We all live in the age of 24/7 connectivity – everyone is online all the time, whether they’re using their laptops, their tablets, or their smartphones. 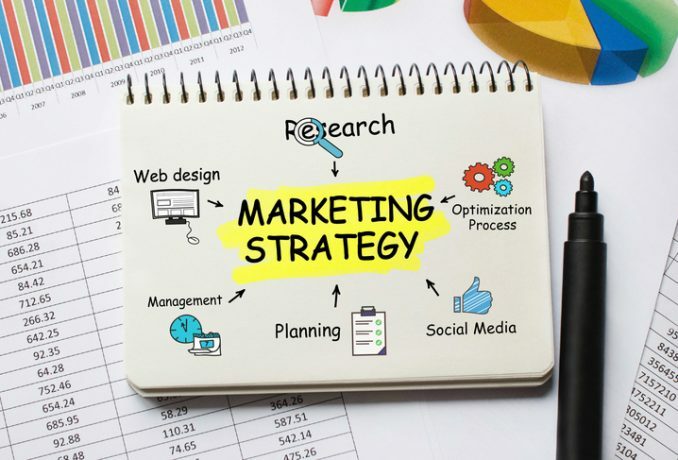 It’s therefore not surprising that a strong digital marketing strategy is a must-have for all businesses – that is, if you want to be able to meet your consumers online and follow their online sales cycle. Before one can come up with a really good strategy, it is important that you know the basics – the core components of digital marketing. After all, the first step to winning the game is to know the rules. Your website is like your storefront in this amazingly huge market that is the web. Your website should be attractive, fast, secure, easy to navigate, mobile-friendly, and optimized for SEO. You might not know it but your prospective clients’ perception of your brand and business is largely based on how professional your website looks. This approach aims to make your business dominate the results page of Google and other search engines for specific keywords, key phrases, or queries. This is achieved using either search engine optimization or paid search ads. SEO is a branch of SEM which entails tweaking and updating content and website code to ensure that web pages organically rank high in search results. Search engines such as Google, Yahoo! and Bing, use search crawlers to go through pages and see what their contents are. This is how they are able to give a list of web pages that are relevant to search queries. But since search engine crawlers use a different language, what we do is leave clues that crawlers can understand. You notice this, we’re sure. The top half of the results page of search engines is dominated by paid advertisement. Usually, those are search ads which are triggered when someone uses a specific set of keywords. The way it works is that a business creates an ad. Google and other search engines use an automated process to be able to determine how relevant your ad is to what the searcher is looking for. Email marketing is exactly what it sounds like – sending email to market. Compared to other types of online marketing, email marketing has a pretty high return on investment. Why does it work? Well, just think about this: the first thing most business leaders and other professionals do when they wake up in the morning is to check their email. People do love getting promotional emails, especially if they come with incentives that are “exclusive”. Any marketing activity that is done on social media platforms is considered social media marketing. At present, about seven in 10 consumers expect a strong social media presence from businesses. Most consumers now use social networks when they are looking for new businesses or information on products they are interested in. The most effective platforms for social media marketing include Facebook, Twitter, LinkedIn, Instagram, and more. You should realize though that not all platforms are the same – they do not appeal to the same group of people. If you pick the wrong platform for your business, that can be catastrophic for your marketing strategy. That’s why it’s crucial that you know which social media platforms are most suitable for your industry. Did you know that a video is 50 times more likely to rank high in Google than plain text? Most consumers agree that watching videos about products or services make them more confident in their purchasing decisions. Additionally, web pages that contain videos get a substantially higher average time on site compared to those that have no videos. Having videos give you the opportunity to establish your brand and build trust. As a business owner, you should be familiar with these digital marketing core components to help you make informed decisions. If you want to know more about digital marketing and how it can help boost your business, give ReferLinks Online Marketing a call! We’ll be happy to answer all your questions and help you build a strong online presence! This entry was posted in Online Marketing, Search Engine Optimization Services, SEO and tagged business,business owners,businesses,digital marketing,digital marketing tips,digital marketing types,Online Marketing,online marketing advice,online marketing strategy on April 21, 2018 by referlinks.